We are introducing a new programme of regular folk nights, starting in January 2018. The long-running, informal folk and acoustic open mic session will now be held on the first Wednesday of each month (it used to be Thursday). The very relaxed ‘just turn up and sing/play’ format will remain the same. Admission is free. 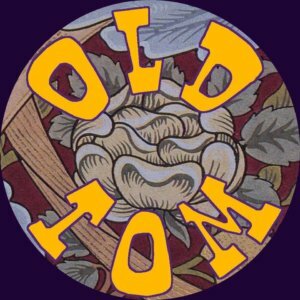 On the third Wednesday of each month there will be a new-style folk and acoustic showcase night called Old Tom (a reference to the virtuoso fiddler Tom McConville who lived at the Globe as a child). This will feature a combination of new performers and more established acts. There will be a £4 admission charge. The performances will be arranged in advance so to express an interest in playing please visit Old Tom on Facebook or email oldtomglobe@gmail.com. Both folk and acoustic nights will be held in the main bar of the Globe (there’s a better choice of beers and ciders than in the jazz bar). We encourage all lovers of folk/acoustic music, both new and traditional, to come to both nights. Attila the Stockbroker	The toughest job in jazz?